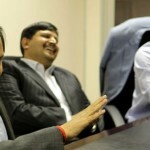 home Featured Letter to the NPA: Drop All Charges Against Mr Julius Malema NOW! Black First Land First (BLF) hereby wishes to officially make a presentation to the National Prosecuting Authority (NPA) to drop all charges against the leader of the Economic Freedom Fighters (EFF) Mr Julius Malema relating to his alleged call to the people to occupy land. The charges being brought against Mr Malema in this regard are baseless, vindictive and vexatious. The charge that Mr Malema is even remotely involved with land occupation is an invention of a fertile and sick mind. BLF through its leader, Andile Mngxitama, is willing under oath to provide an affidavit that shall prove that Mr Malema has long abandoned land occupation as a strategy to reclaim the land of black people stolen by whites. 1. In December 2015, the EFF amended its Cardinal Pillar on land, to include the words “in use” at the end. 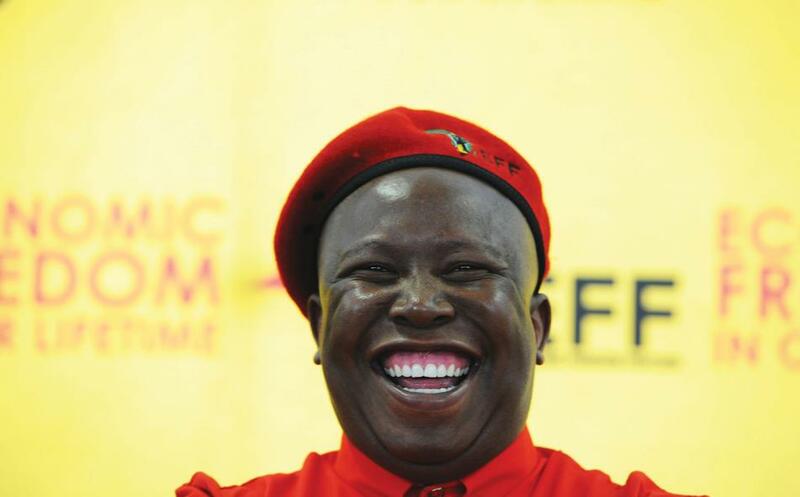 The meaning of this amendment was explained by Mr Malema as meaning that the EFF shall only occupy unused land. In South Africa 80% of the land is designated as agricultural land. This mean that unused land is possibly only those pieces of land held by municipalities where shacks can be erected. 2. In February 2015, Mr Malema and his leadership met the land owners (who he had previously called land thieves) in Stellenbosch. He assured them that EFF would not occupy any land which was in “use”. There was a common undersanding with the land thieves that Mr Malema and his organization would not forcibly take the land currently owned by white farmers. Media reports of the event say that after the meeting white farmers took selfies with Mr Malema and that he had also asked for donations from these white farmers as a token of goodwill and partnership. 3. Mr Malema and the leadership of the EFF toured London in October 2015. The trip was allegedly sponsored by some of the South African banks. In London they met amongst others Lord Robin Renwick, a known imperialist and colonialist, who is against land redistribution. 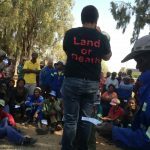 Renwick has allegedly advised Mr Malema and his leadership against radical land redistribution such as that which has occurred in Zimbabwe driven by mass land occupation. After the meeting with Renwick in London Mr Malema launched the most scathing attack on the President of Zimbabwe, Mr Robert Mugabe. To this end he denounced the land occupation process, that led the Zimbabwe land revolution, as “violent”. This stands to reason that if Mr Malema had at any stage believed in land occupations, he had abandoned that course after meeting Lord Robin Renwick in London. 4. It’s important to note that Mr Malema has made peace with Mr Johann Rupert and has called on him to fund their joint campaign driven by the desires of London to remove President Zuma from Office. Mr Rupert is the symbolic representation of land thieves in South Africa and is often called the leader of the “Stellenbosch Mafia”. Johann Rupert is not likely to be friends with people who are committed to land occupations. If in doubt about the fact that Mr Malema has abandoned any programme against land thieves and white monopoly capital, refer to the abandoned promise made last October to occupy the ABSA bank. 5. A furher indication that Mr Malema is against land occupation can be seen in his party having gone into an effective coalition with the Democratic Alliance (DA) – a party of land thieves and white monopoly capital. The DA opposes land occupations and regularly evicts black people who have occupied land in the municipalities it controls. 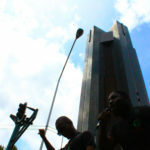 Mr Malema has not asked the DA to stop evictions as a condition for giving it the Metropolitan Cities it now controls. The DA and EFF controlled Tshwane Metropolitan Cities were evicting land occupiers and destroying their homes as late as on the 4th of November 2016. The EFF has said nothing about it thus confirming our view that Mr Malema Is not about land occupations. 6. We wish to caution the NPA not to infringe on Mr Malema’s fundamental right to freedom of expression. Mr Malema only speaks about land occupations during elections so as to woe the landless voters. He has however, not taken any practical step to organize or lead a land occupation. BLF shall, under oath, testify that Mr Malema has not led one single land occupation in his life. 7. Should the NPA not drop the charges against Mr Malema, then BLF shall apply to the High Court to be party to the proceedings so as to provide the court with evidence in defense of Mr Malema. We hope that the pointers we have provided here shall be enough to persuade the NPA to drop the charges against an innocent man. Did Malema buy or expropriate a farm? 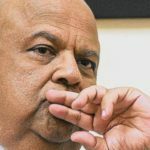 Pravin Gordhan loots Special Pension Fund of R11 million – he must go!